Following the updated release of IBDAC (Delphi data access components for Firebird) Devart released a huge update of it’s dbExpress drivers. Among them you can find updated dbExpress driver for Firebird/Interbase. Among many improvements and bug fixes those drivers received RAD Studio 10 support and now the trial limitation by 6 columns is removed from the Trial version for Win64 and it becomes a fully-functional Professional Edition. Use Unicode Windows API for national alphabet. Has an improved compatibility with SharePoint Designer. Errors in the type converter have been eliminated. 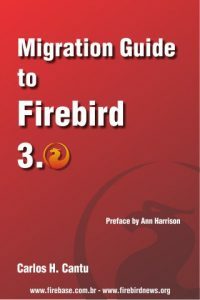 Quite recently, Firebird 2.5 Release Candidate 2 appeared. During regular IBProvider testing with new FB2.5 SuperClassic (RC2), we revealed a problem in the server: page 14194, page type 5 lock conversion denied (215). The first person who publishes the reproduced example at our forum will be awarded with a free license for IBProvider Professional 64 bits Single Developer! Please visit Firebird driver homepage for details. New release candidate of IBProvider Professional Edition has appeared. Is the modern driver for access to 16 versions of the Firebrd and Interbase servers. IBProvider RC4 has the new option of stored procedures calling in Visual Studio 2008 style via ODBC escape sequences. This innovation allows to create queries and TableAdapters based on stored procedures. New algorithm for choosing named parameter data type. Some errors of named parameters procession detected via profound testing by exhaustive method have been eliminated. Metadata schemes and IColumnRowset interface now consider user charset . This allows working with metadata in set encoding. We continuously improve IBProvider and present new options for users with each new release. IBProvider Release Candidate 4 is the last RC of the third version. Currently IBProvider v2 is the only provider that allows to update data in Firebird and Interbase linked server. Other drivers allow only data reading from source. Combination of these two drivers will give our clients another competitive advantage for quick development of quality Firebird and Interbase applications. New IBProvider allows comprehensive work in Unicode applications, enhanced work with NONE encoding, and supports charset markers. All the detected problems that prevented comprehensive work with Firebird and Interbase from UNICODE applications have been eliminated. Supports charset markers in SQL queries. Supports exclusions processing when working with Interbase and Firebird via ADODB. Supports working with database object names containing national symbols for connections with NONE charset. Enhanced work with metadata schemes when working with database via NONE charset. Advanced testing allowed detection and elimination of errors. Please read details on the Firebird driver homepage.